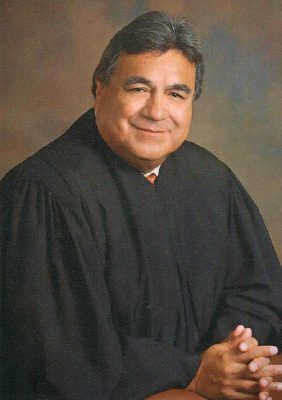 A suspended state district judge accused of accepting bribes in his court in exchange for favors pleaded not guilty in a motion filed Monday, according to court records. Rodolfo “Rudy” Delgado’s motion waived his presence at his scheduled arraignment in Houston this Friday. Additionally, he entered a not guilty plea in connection with three federal bribery charges and as many charges related to violating the Travel Act. Delgado’s plea comes on the heels of a six-count indictment handed down by a Houston federal grand jury last Wednesday, finding there to be enough evidence to move the case to trial. In the first incident, Delgado solicited and accepted cash from an attorney in a case involving a federal program. Last week, the State Commission on Judicial Conduct suspended Delgado, who has presided over the 93rd state District Court for more than 10 years, without pay until further notice from the commission. Delgado also filed another motion to travel outside of the Rio Grande Valley, citing the need to travel to San Antonio and Austin to confer with his attorneys in the lead-up to his trial. Along with the motions filed; the court set the scheduling order for Delgado with a trial date for May 7 that begins with jury selection, the record states.